Think about all the bicycles you’ve ever owned. Did you have one with training wheels? Pom-pom handlebars? A basket? Banana seat? Adjustable gears? No matter how many bells and whistles the bikes of your life had, they all worked the same because they all had some common integral parts. We’re a lot like bicycles in that regard. We come in all shapes and sizes, but we require the same necessary parts to live. 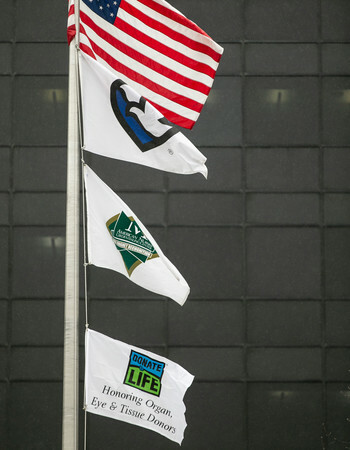 Donate Life America was inspired by this concept when selecting the theme for 2019’s National Donate Life Month: “Life is a beautiful ride.” It serves as a reminder that when you register as an organ, eye and tissue donor, you have the opportunity to share your “integral parts” with others. You have the opportunity to heal and save lives. 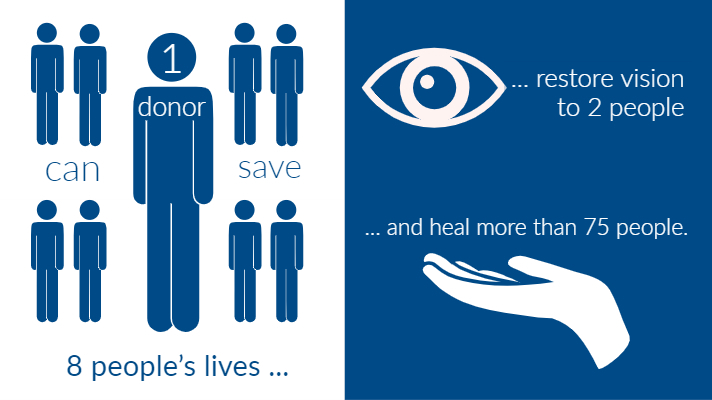 More than 145 million people are registered donors, but still, more than 100,000 people are waiting for lifesaving transplants. In Nebraska alone, there are more than 400 people who need transplants. In Iowa? Nearly 600. If those numbers aren’t alarming enough, Donate Life America estimates that more than 20 people die every day because the organs they need are not donated in time. When a person passes away, the hospital reaches out to the organ procurement organization (OPO). In order to qualify for organ donation, the potential donor must be in a hospital and supported by mechanical ventilation. Tissue donation, however, may still be an option for those who do not meet the criteria for organ donation. If the OPO determines the individual is a good candidate for donation, they check the Donor Registry to see if the patient is registered. If not, family support coordinators with the OPO will discuss the option for donation with the individual’s legal decision maker to determine if they would like to consider organ or tissue donation. Each potential donor is screened to determine what organs and tissues can safely and effectively be donated. Once the determination has been made that organs can be donated, recipients are identified through the United Network for Organ Sharing (UNOS). UNOS uses a sophisticated system to determine the best donor match. Matches are based on factors like blood type, size, medical urgency and distance from the donor. The donation surgery takes place in an operating room, with great care given to respect the donor’s body and maintain the viability and safety of the organs and tissues being recovered. A moment of silence is observed prior to the surgery to honor the donor and the generosity of this gift of life. After the donation surgery, organs are transported to the recipient’s transplant center and the transplant takes place immediately. Donated tissues are sent to tissue processors for preparation, for storage and to find recipients. Donated tissues may be stored for up to five years before being transplanted. During the organ donation process, family support coordinators with the OPO stay with the donor’s family to answer questions, assist with funeral planning, create keepsakes of the donor and provide support however it may be needed. In 2018, Methodist Hospital assisted Nebraska Organ Recovery in two organ donations and four tissue donations. Methodist Jennie Edmundson Hospital in Council Bluffs assisted the Iowa Donor Network with one organ donation and 10 tissue donations. Lilia Hansen, MSN, MBA, RN, CCRN, is the Critical Care Service Leader at Methodist Hospital.